Beautiful apartments decorated in a prime location. A picturesque path leads to an amazing beach. The hosts are very nice family who does everything to make you feel at home. Highly recommended! Apartman, okolina, parking, krevet, posteljina, udobnost, srdacnost domacina, lokacija, plaza ,cistoca extra!!! Plaza je udaljena 2 minute od apartmana. 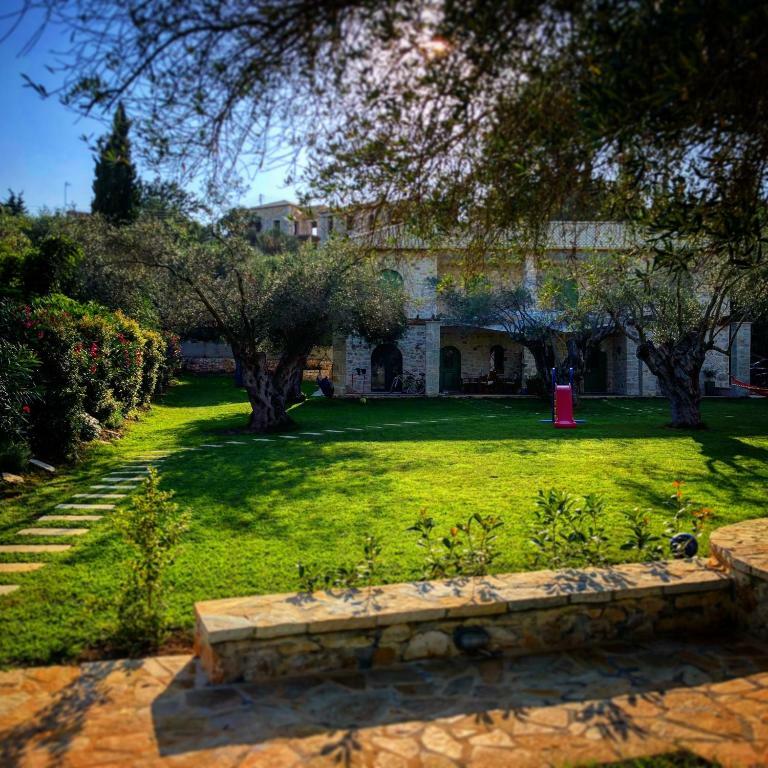 Letovanje u Bellou Villas (Iris), Sivota je za svaku preporuku. Apartment, surroundings, parking, bed, bedding, comfort, cordiality of the host, location, beach, clean extra The beach is 2 minutes from the apartment. 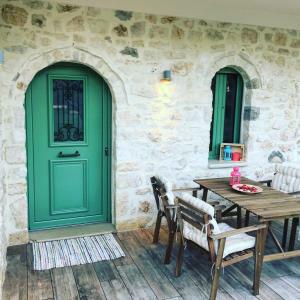 Holiday in Bellou Villas (Iris), Sivota is for any recommendation. Fantastyczne miejsce do którego na pewno wrócimy , położone w pięknym ogrodzie wśród drzew oliwnych . Bardzo czysty i przestronny apartament w pełni wyposażony . Bardzo mili, sympatyczni właściciele . Jednym słowem ... RELAKS OD PIERWSZEJ CHWILI!!!! Tolle Lage, nur ein paar Minuten zum Sandstrand mit glasklaren Wasser. In dem Hotel gegenüber kann man sehr gut Essen. Wir waren mit unseren Zwillingen (2Jahre alt) im Urlaub. Während wir in Ruhe frühstücken konnten, spielten sie in dem dazugehörigen Garten. Die Gastgeber sind außerordentlich freundlich und bemüht. Mehrmals pro Woche wurden Handtücher und Bettwäsche gewechselt sowie die Wohnung gereinigt! 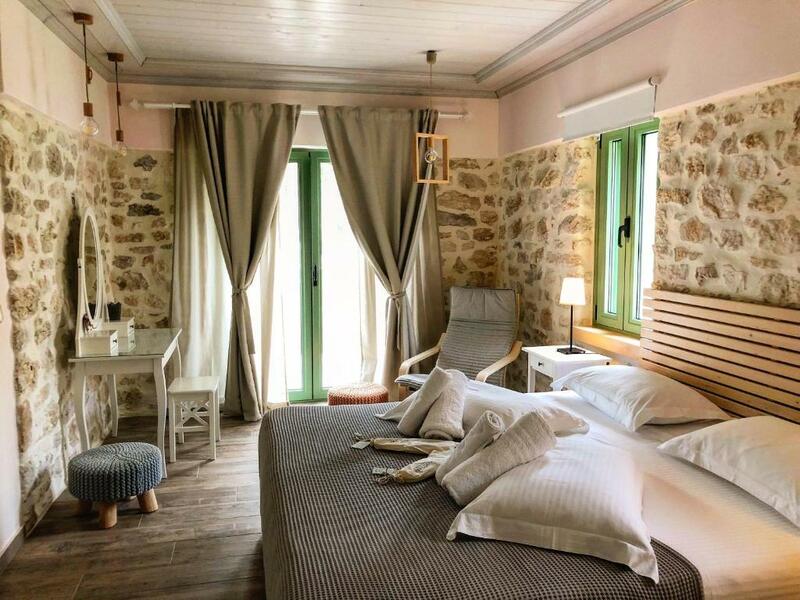 Lock in a great price for Bellou Villas Sivota – rated 9.9 by recent guests! Offering a garden, Bellou Villas Sivota offers accommodations in Syvota. Corfu Town is 40 mi from the property. Free WiFi is featured throughout the property and free private parking is available on site. The accommodations has a flat-screen TV. Some units have a terrace and/or balcony with garden views. There is also a kitchenette, equipped with a fridge and stovetop. Every unit comes with a private bathroom with a bath or shower, bathrobes, and slippers. Towels are provided. 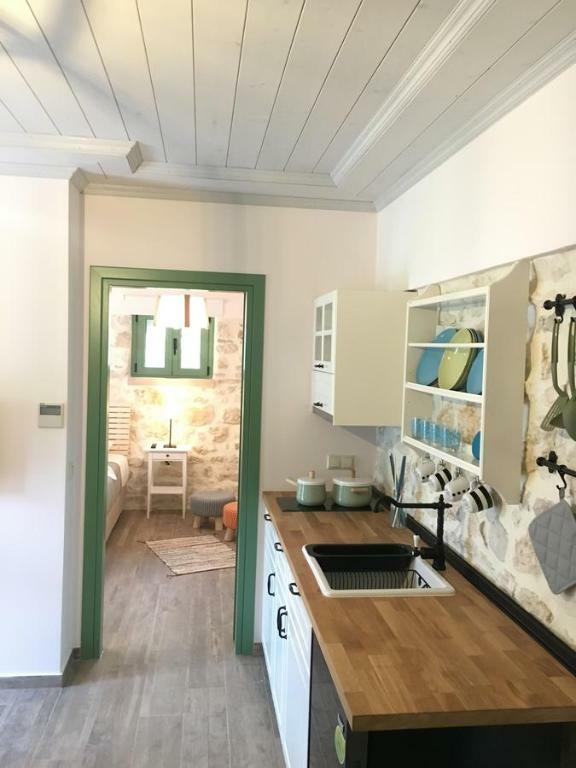 Bellou Villas Sivota also includes a barbecue. Guests can enjoy various activities in the surroundings, including snorkeling, diving and fishing. Párga is 34 mi from Bellou Villas Sivota. The nearest airport is Corfu International Airport, 41 mi from the property. 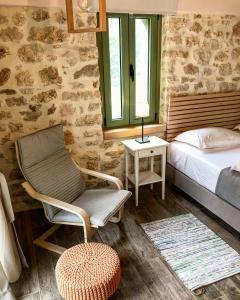 When would you like to stay at Bellou Villas Sivota? This apartment has a soundproofing, stovetop and kitchenware. Σε απόσταση αναπνοής από την πιο φημισμένη και βραβευμένη με γαλάζια σημαία παραλία των Συβότων, τη Μεγάλη Άμμο, βρίσκονται καλά κρυμμένες σαν μυστικός θυσαυρός σε έναν αρχαίο ελαιώνα, οι πετρόχτιστες Villes Bellou. Με πολύ μεράκι και αρκετό σεβασμό στην φύση, συνεχίζοντας το όραμα του πατέρα τους, οι αδερφές Δημητρίου Μπέλλου δημιούργησαν ένα συγκρότημα από 3 παραδοσιακές πετρόχτιστες βίλλες, συνδυάζοντας αρμονικά όλη την πολυτέλεια της σημερινής εποχής. Ο υπέροχος ειδυλλιακός κήπος σε ταξιδεύει στην ηρεμία της φύσης, για να απολαύσεις τις σίγουρα αξέχαστες διακοπές σου. 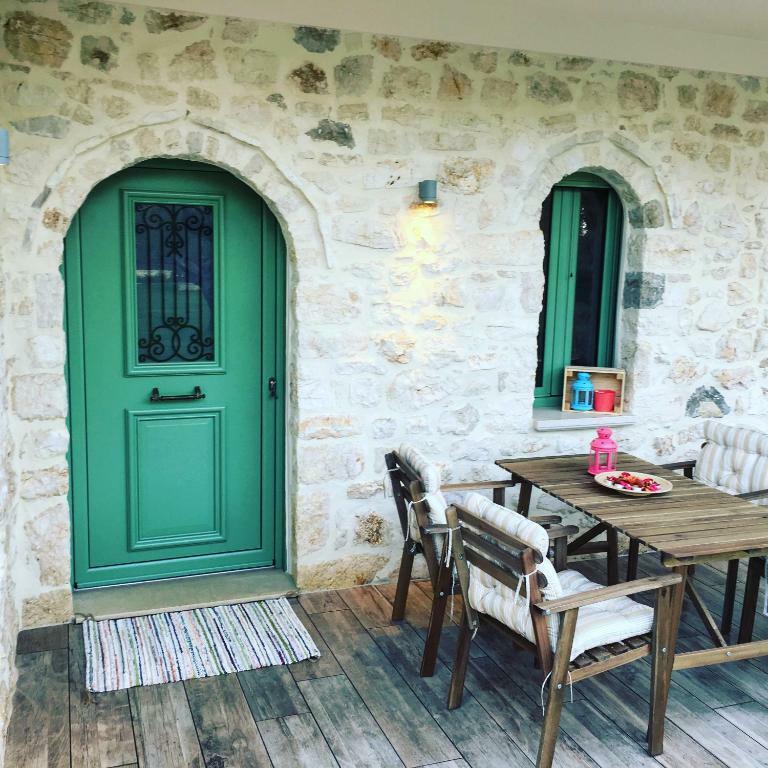 House Rules Bellou Villas Sivota takes special requests – add in the next step! Please inform Bellou Villas Sivota of your expected arrival time in advance. You can use the Special Requests box when booking, or contact the property directly using the contact details in your confirmation.